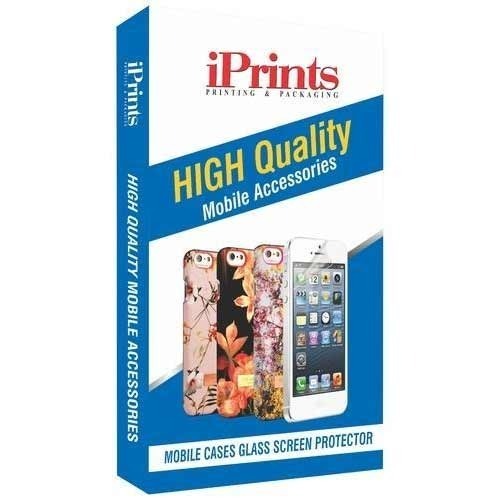 From the first day of our incorporation, we present patrons with the superior quality of Mobile Cover Packaging Printed Boxes. Started our business and came into existence in the year 2010, We, iPrints, are engaged in Manufacturer and Service Provider the premium quality of Packaging Cartons, LED Bulb Packaging Box, Mono Packaging Carton, Mono Packaging Carton and many more. State of the art infrastructure, which is spread over a wide area of land, has helped us in ensuring streamlined and standardized production of these products. Managed by a team of experts, the up gradation of our infrastructure at regular intervals has helped us in increasing the production of these products efficiently. For understanding and managing the precise & diverse needs of the patrons, we follow patron centric approach. Acclaimed for their alluring appearance, superior finish and eye-catching design, these products are designed by using modern machinery. Our customers can avail these products in various customized and generic specifications, in accord to their precise needs. The use of wide distribution network by our logistic support has ensures safe and accurate delivery of these products.